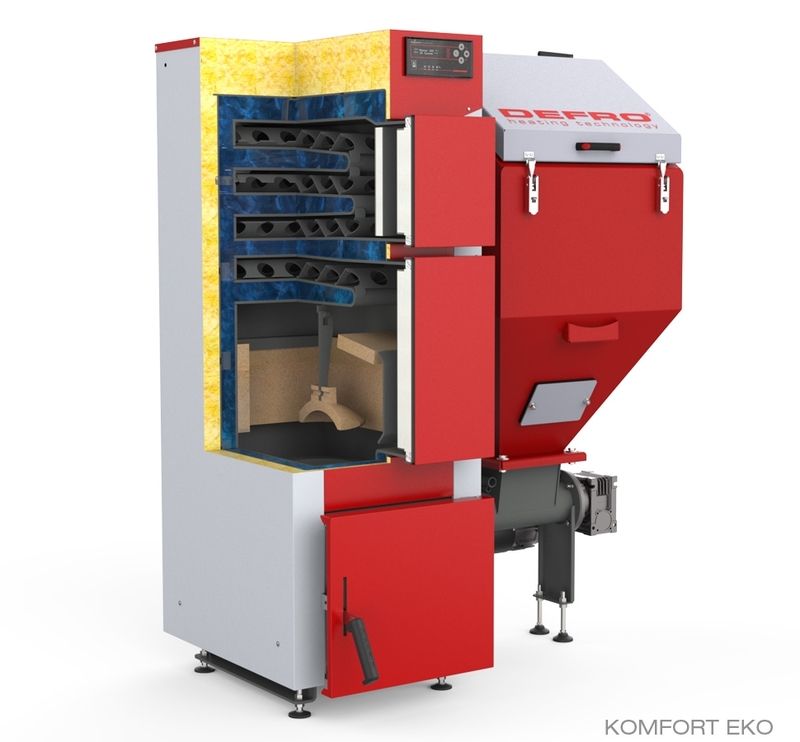 When ordering KOMFORT EKO boiler the customer should specify on which side the container should be located (right or left). It is also necessary to specify location of the flue during ordering - from top or in the rear wall of the boiler. Additional equipment components shall be added during ordering of the boiler because there is no possibility of installation in the future. Boiler adapted for installation in the closed system provided that protections were installed in accordance with the operation and maintenance manual of the boiler. 1 Maximum area of heated rooms estimated for unit heat demand q=70 W/m2. 2 Fuel tank capacity for bulk density of eco-pea coal equal to 0,8 kg/dm3. 3 Boiler weight depends on its additional equipment. Height of boiler can be additionally adjusted by means of provided levelling legs. The regulation of legs varies from 38 to 50 mm.